The DR-1200 & DR-2200 hand-held microphones have a one-thumb operation and a stainless steel trackball for extra-precise navigation. Extra large record and playback push (DR-1200) or slide (DR-2200) buttons ensure efficient operation. 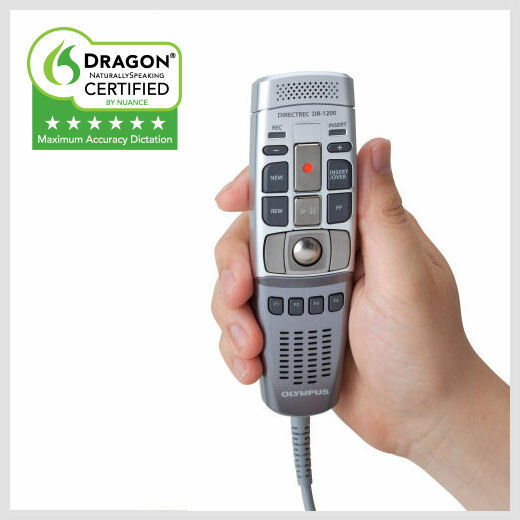 It has a low-noise directional microphone to reduce undesired background noises and ensure the best results in speech recognition and transcription. A powerful and integrated speaker with digital volume control supports a clear playback.